Doctor Who: The Legends Of Ashildr Review | Warped Factor - Words in the Key of Geek. Matthew Kresal fills in the gaps with The Legends of Ashildr. As a fan of Doctor Who, it was hard not to be intrigued by the news of this anthology. 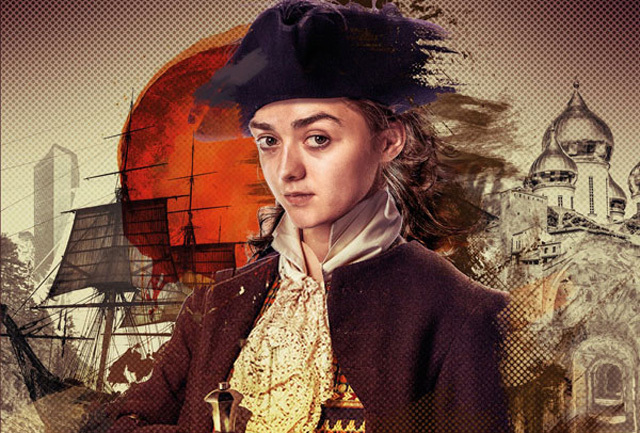 Ashildr, played by Game Of Thrones Maisie Williams, was the subject of much debate before being properly introduced on-screen during last year's ninth season of the show's 21st century television incarnation. Granted a form of immortality, Peter Capaldi's Doctor would encounter her elsewhere during the events of the season. What was she up to the rest of the time, especially in the long gap between the two episodes that first featured her character. This anthology of stories (with entries by stalwart Doctor Who prose writers James Goss, David Llewellyn, Jenny T. Colgan, and Justin Richards) promised to fill in some of those gaps in Ashildr's story. Being an anthology, it allows for a wider range of stories than perhaps a novel might have allowed. That said, if you're expecting the further adventures of Ashildr with the Doctor you're going to be disappointed as despite the show's logo and a TARDIS on the back cover, the Doctor doesn't even make a cameo appearance in any of the tales. 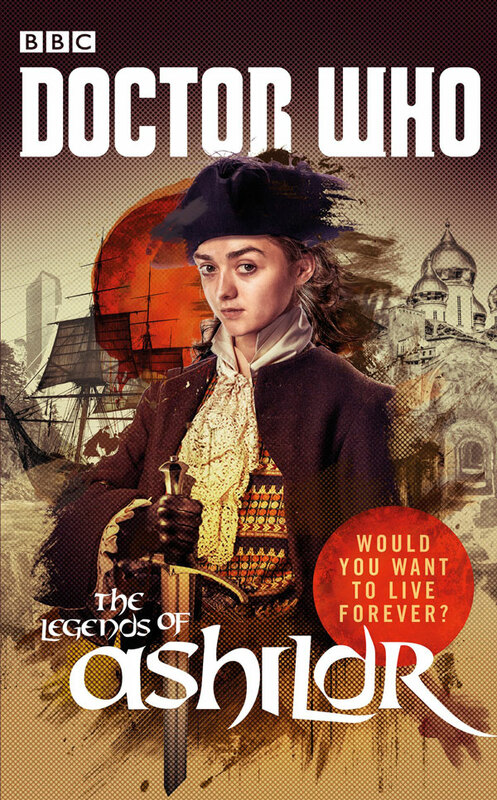 The book, as its title might very well suggest, is focused on Ashildr exclusively, so if you didn't like the character on screen you might wish to save your money on this volume. If, like me, you enjoyed the character than this is worth a read, though you might still be somewhat disappointed in it. Being an anthology also means that a book can be hit and miss in terms of quality, something that is precisely the case here. The first two tales, Goss' Arabian Nights reworking and Llewellyn's story of sea going exploration, are both rather lackluster efforts, perhaps because they're written in the third person. Goss' tale in particular is utterly predictable and, when it isn't, it can be utterly confusing due a frequent change in point of view that had even this attentive reader wondering what was going on at times. Llewellyn's is something of an improvement as it has a nice twist towards the end to explain the story's events. That said, neither of them is especially exciting and Doctor Who has done similar types of stories far better elsewhere. The other two stories in the book fair better, perhaps helped in some part by being written in the first person. Jenny T. Colgan's Third Knives, is the stand out of this volume. Picking up on a referenced event from the episode The Woman Who Died, the tale takes Ashildr to London where she encounters a strange event as plague once again hits the city. Yet Colgan wisely chose to explore Ashildr's character in greater depth than either of the stories that proceed it in the volume by having her face a terrible choice that makes for the volume's most heartbreaking moment. Colgan does what New Who in particular has done at its best by combining the extraordinary with the ordinary and finding powerful emotions in the mix. Justin Richards' The Ghosts of Branscombe Wood closes the volume and takes it into familiar territory once again. Longtime fans of what might be termed “British telefantasy” will recognize the pedigree of this story which brings Ashildr to Branscombe Wood and its apparently haunted roads. While it lacks the emotional kick of Colgan's tale, it's still an effective piece of storytelling as the past comes back to haunt Ashildr and she sets out to solve the hauntings. It's a nice way to conclude the volume as it brings Ashildr to about where she is in The Woman Who Lives. While it's definitely not the best piece of Doctor Who related fiction out there, it nevertheless makes for interesting reading, even more so if you're a fan of the Ashildr character. Colgan's tale in particular is a well written piece, the standout of this volume and one of the better pieces of Who related prose in recent memory. The Legends Of Ashildr then has its moments but also comes across as having a lot of unfulfilled promise thanks to two lackluster opening tales. Maybe next time chaps?